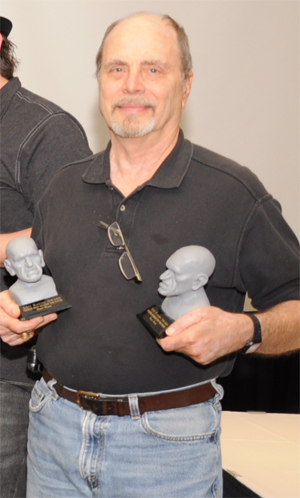 A Day at the Rondo Awards! By J.D. Feigelson! 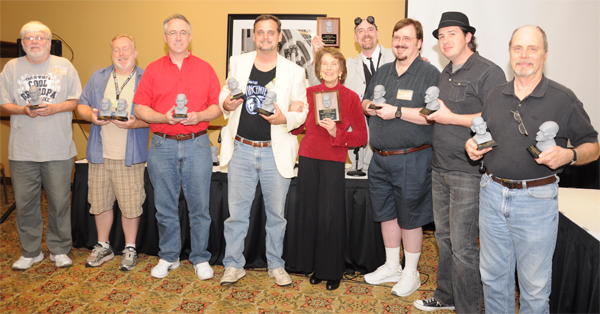 There I was sitting in the audience of the 2012 Rondo Award presentation. These would be the top honors for 2011 calender year as voted on by fans. 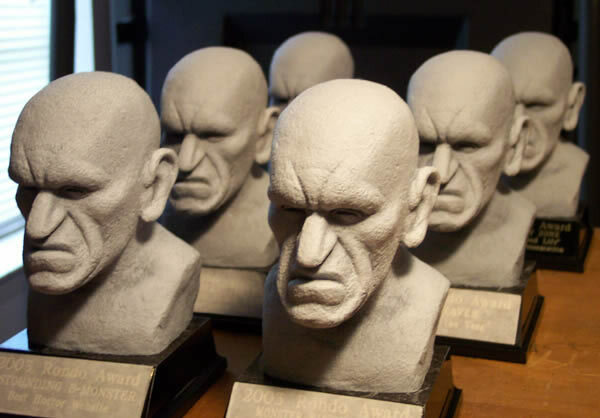 The Rondo Awards are not a huge gala the Oscars or the Emmys. It is more an intimate affair attended mostly by the winners and their families with associates and fans making up the rest of the audience. The presentation was held in “Theater A” at the Wonderfest Convention in Louisville, Kentucky and, while the Rondos are given there, they are actually a separate entity from the convention. As 5pm approached, the anticipation heightened. Awards director David Colton, wearing a tux, came to the microphone and greeted the eager audience. A projected visual presentation started things rolling and, very quickly, we were into the first awards. A word of clarification: I was there not to receive anything of my own, but to proxy for several others. 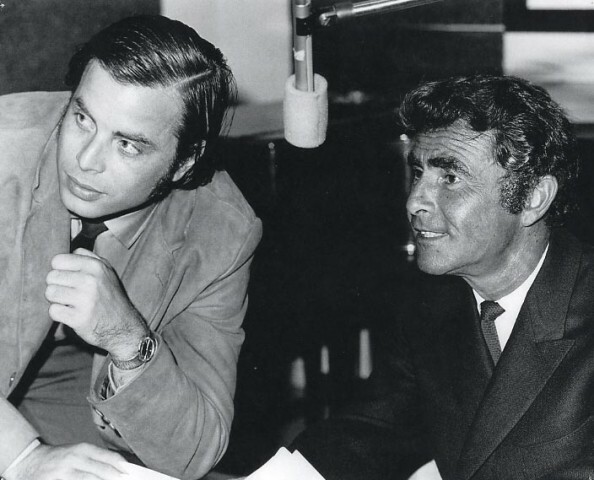 Because I had worked with Rod Serling and had been a director on “The New Twilight Zone” (1984-1985) I was tapped to receive the Rondo for the original “Twilight Zone” (1958-1964) this year’s winner for “Best Restoration.” I gave a short background of the show and my involvement with Mr. Serling as they projected a 1970 photo of us working together in the recording studio. 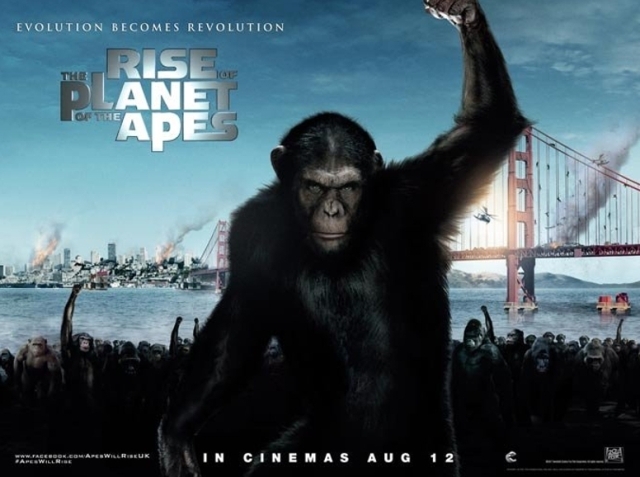 Several more awards were presented and then came the Rondo for “Best Movie of 2011.” RISE OF THE PLANET OF THE APES picked up that one, and I received it on behalf of the Producer, Peter Chernin, and 20th Century Fox Studios. I was asked to receive this time because of my long time friendship with Peter and my former association with Fox (THE COVENANT and DARK NIGHT OF THE SCARECROW VHS). Before the event, I contacted Dave Fuentes and David Albaugh to see if they would be attending the event, knowing their TERROR FROM BEYOND THE DAVES had won for “Best Blog.” I informed them that I would be there accepting the aforementioned awards and asked, since they could not attend themselves, if they’d like me to accept it for them as well. And so it was. David Colton presented two Rondos, one for each Dave, and I accepted with their appreciation. Speaking for the two Daves, I expressed to the gathering how humbled and grateful they were for the award. And speaking from my own association with them, I informed all that the Daves were not only helping to perpetuate the genre to fans, but were also die-hard, committed fans to their core. I also gave a background of how we had met at one of the Horror Cons and had been great friends ever since! Feigelson (far right) with 2011 Rondo Winners! And so it is with that background that I salute the superb site, TERROR FROM BEYOND THE DAVES, for it so richly deserved the Rondo! This entry was posted in Science Fiction and tagged DARK NIGHT OF THE SCARECROW, David Colton, J.D. FEIGELSON, RISE OF THE PLANET OF THE APES, Rod Serling, Rondo Awards, The Twilight Zone, Wonderfest. Bookmark the permalink. ← A Monstrous Proposal: Halloween Jack to Wed Halloween Jacqueline!